A boom in the production of clay bricks has worsened air quality in the Mekong Delta and the over-exploitation of clay has severely affected arable land, said Huynh Van Sau, Deputy Head of Can Tho City’s Department of Construction. He made the warning at a conference on environmentally-friendly construction materials held in Can Tho city on October 12. The event gathered the participation of more than 100 scientists, investors, producers, State officials and organisations involved in the construction business. The Vietnam Association for Building Materials (VABM) said most structures in the delta use baked bricks, which harms the environment, human health and the production output of husbandry and farming. Unbaked brick was highlighted as a material of choice for the Mekong Delta. Participating experts pointed to its numerous benefits, saying the brick is more eco-friendly while being soundproof and heatproof. In addition, the use of unbaked brick can help speed up construction. 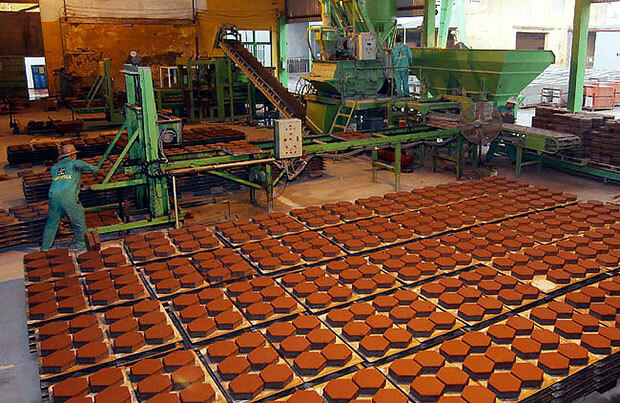 Producing one billion traditional clay bricks needs 1.5 million cubic metre of clay and 150,000 tonnes of coal, while emitting 0.57 million tonnes of CO2. Vietnam will need an estimated 33 billion bricks in 2020, using up 50 million cu.m of clay and 5 million tonnes of coal, generating 19 million tonnes of CO2./.